6-7 hours should be enough sleep, but still feeling a bit tired/sleepy. Mind is addicted to over-sleeping I guess. May be waking up at 6:30 am lately is too foreign to my mind/body. I am here breathing through this, I mean, what else there to do, to overcome this, can’t head back to bed. Slowing down to the speed of breathing is the key, it is the speed of life-substance, even the Seas breathe in and breathe out, even the whole universe apparently breathe-in/breathe-out, but only the mind wants to move faster. I forgive myself that I have accepted and allowed myself to believe that I am not a morning person and within this create the feelings of tiredness within myself because that’s what I have trained myself as. I forgive myself that I have accepted and allowed myself to believe that waking up at 6:30am is painful and shouldn’t happen to me, and I should sleep longer and till later, within this I forgive myself for training and conditioning myself to these sleep patterns. I see/realize this pattern can be changed day by day, and breath by breath. I see/realize 6-7 hours of sleep is more than enough for the human physical body. I forgive myself that I have accepted and allowed myself to connect the emotions of tiredness to waking up early in the morning. In that I see/realize I am the creator of what I feel. I forgive myself that I have accepted and allowed myself to not see/realize breathing, as in full-breath or 4-count breath is of great support here, allowing myself to move at the speed of life-substance. I forgive myself that I have accepted and allowed myself to desire to sleep longer. I forgive myself to like the idea of sleeping long believing that sleeping long is very relaxing and resting, not seeing/realizing sleeping long is a way to avoid the physical reality here. I see/realize sleep should be done in minimal and sufficient hours, not too much or too little, in this I see 6-7 hours is ample, right amount, anything more or less I am compromising my body. I see that 6 hours is the right amount with some training in place, though, currently it seems like a burden. I forgive myself that I have accepted and allowed myself to not see/realize breathing at the speed of life-substance is a great support for so many maladies on the mind/body, because when you rush, lots of friction, lots of tension in the mind/body. 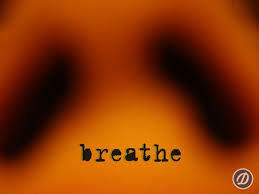 Hence I direct myself to slow-down and breathe slowly as in 4 count breath: breathe-in, hold, breathe-out, hold, breathe-in, aware of the whole cycle of breath as it rise and fall. In this importantly, I am grounding myself HERE, and NOT lost in the mind of thinking, which is highly tempting. So breathing properly/wholly as solution to sleepiness. Previous Postday 578 – just a look (2)Next Postday 580: walk through roadblocks, not fear them.